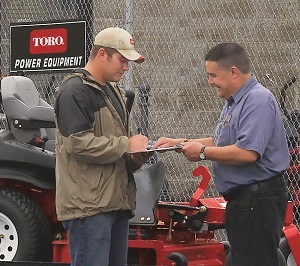 The Toro Co. received the Gold Level Award from the Equipment Dealers Association (EDA), which is based on responses from the 2017 Dealer-Manufacturer Relations Survey. The annual survey focuses on 12 key categories of dealer operations and support, and compiles responses to provide a rating for participating equipment manufacturers. This is the third consecutive year in which Toro has received the award. The Outdoor Power Equipment Institute (OPEI) purchased a new headquarters building, and will move its offices to 1605 King Street, Alexandria, Va., in the spring. The new OPEI headquarters will include a state-of-the-art conference center that can seat 50 people for in-person and virtual meetings. This new space will enable OPEI members around the country and overseas to participate more fully in association business and activities. “In 1987, OPEI’s board was prescient and chose to relocate from Washington D.C. to Alexandria and built its current building. The current building met our needs for three decades and appreciated considerably. Our new building prepares us for future growth and engagement,” said OPEI President and CEO Kris Kiser. OPEI closed on its new location on Aug. 15, and the move represents a multi-million-dollar investment. OPEI has retained OTJ Architects of Washington D.C. for the project. Agri-Turf, a Santa Fe Springs, Calif.-based specialty chemical and equipment supplier, raised $44,000 for the American Cancer Society during its 3rd Annual Malcolm Stack Charity Golf Tournament at Tustin (Calif.) Ranch Golf Club. Massey Services has once again been named as one of Orlando Sentinel’s Top 100 Companies. For more than 20 years, the Orlando Sentinel’s Top 100 program recognizes companies across Central Florida that are committed to making their company a great place to work. “At Massey Services, we value our team members and thank them for helping us achieve this recognition,” said Harvey Massey, chairman and CEO of Massey Services.